Mike and I were on the highway today when we stopped to get gas and passed by… a giant blueberry statue! We’re not ones to turn down giant roadside attractions, so of course we took the five minutes to stop and take photos of the giant berry. He was scary-cute and both Mike and I thought there would be blueberries for sale, but apparently it was just a giant blueberry, hanging out on the side of the highway. 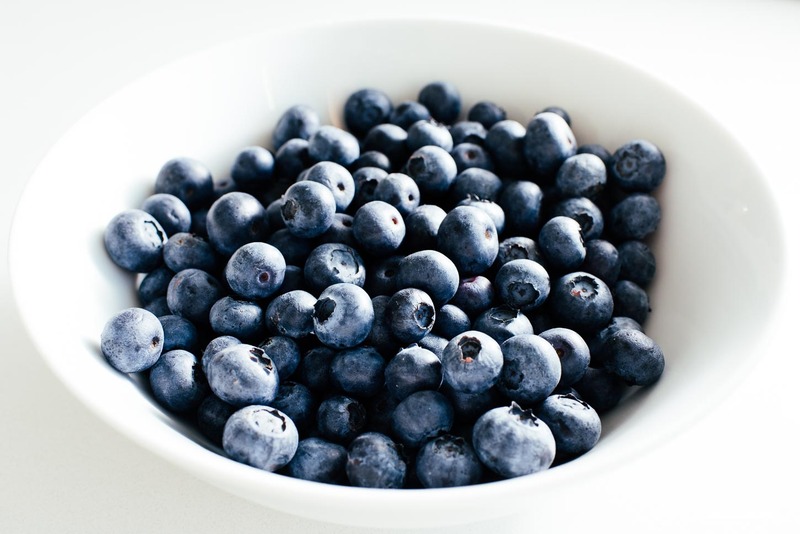 I’m a huge fan of blueberries. I love their dusty blue skins, their cute round shape, and how they are just bursting with sweetness. And, I have to admit, big, plump berries are my favorite kind. If you’re looking for big berries, you should look for BC bluebs! They’re always sweet and firm and although I love them just out of hand, I love them even more in pancakes. I don’t think there’s anyone who could look at a stack of pancakes and be sad. They’re one of my goto happy foods, partially because of the way they taste, but also partially because I have fond memories of early dates with Mike at IHOP. He’d always get rooty tooty fresh ‘n fruity for the blueberries and I’d always get the silver dollar pancakes for the cuteness. I combined the two and made some mini silver dollar blueberry pancakes! I didn’t make that rooty tooty sauce because I much prefer my blueberries inside my pancakes. I love how jammy and sweet they get when you cook them up. Speaking of cooking them up, I think everyone has their own preferred way of making blueberry pancakes. 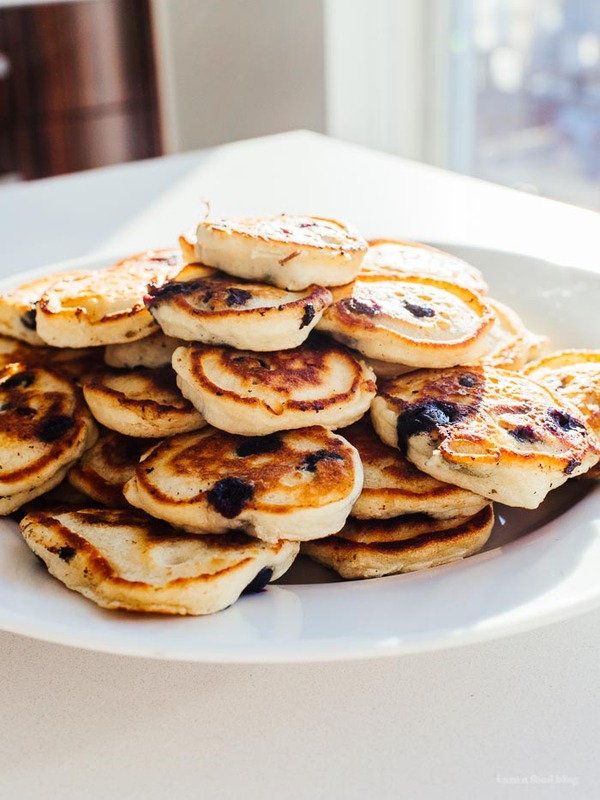 And by that I mean, do you like to put your blueberries directly into the batter or do you like to drop them into the pancakes after you’ve already ladled them into the pan? I’m a mix in kind of person because I like the way mixed in blueberries look. But, to do the mixing in, I never use frozen or ripe berries. They have to be plump and firm so they hold their shape and don’t stain the batter. To minimize blueberry breakage, I mix in just enough blueberries into the batter, then immediately spoon the batter (with all the blueberries I’ve mixed in) into a ready pan. That way, the blueberries don’t sit in the batter but you still get that batter coated look. Scientific testing: blueberries added to the pancakes, not to the batter. Conclusion, not ideal. Note: I like the look you get by stirring in blueberries into the batter, but not if the blueberries sit for too long, so stir just enough blueberries for the pancakes that you are going to cook, replenishing the blueberries as needed. 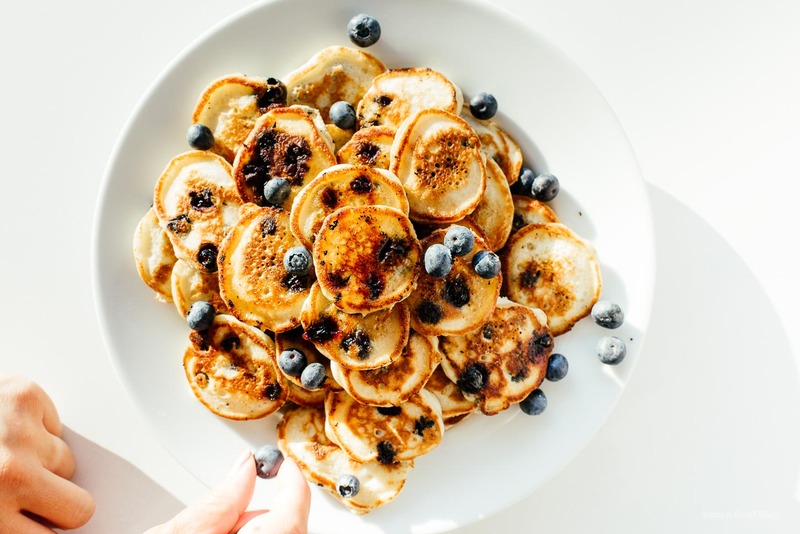 Alternatively, you can stir in all the blueberries at once if you don’t mind a slightly bluer pancake, or you can keep the batter pure and add the blueberries to the pancakes when they’re in the pan. Heat up a non-stick pan over medium-low heat. Brush a thin layer of butter or oil on your pan. Mix in a handful of blueberries into the batter. 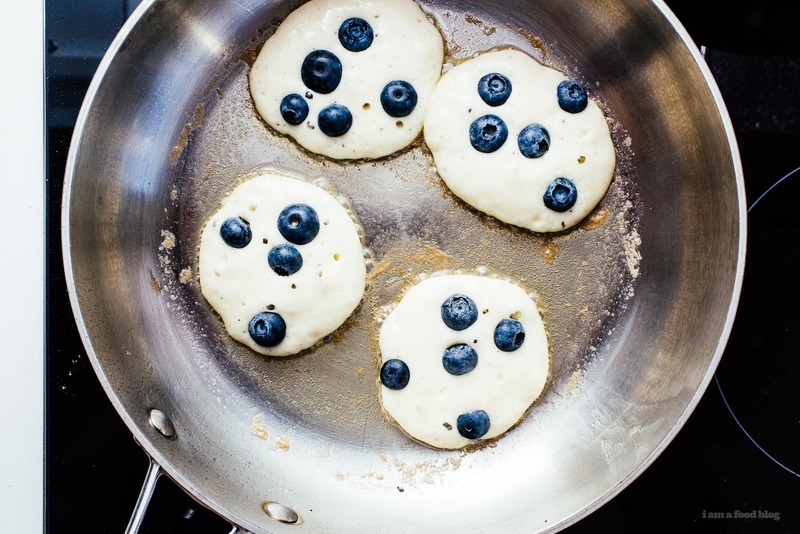 Drop the batter with the blueberries by the tablespoon into the pan and cook until small bubbles form on the surface and at the edges. The pancakes should be golden brown. Flip and continue cooking for 1-2 minutes, or until golden brown. Remove from the pan and place on a wire rack inside a baking sheet. 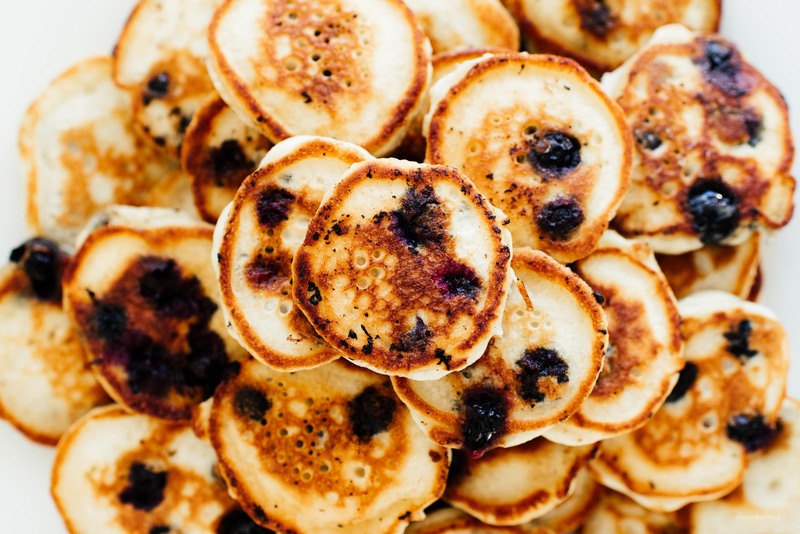 Keep the cooked pancakes warm in the oven until you finish pancaking, stirring in blueberries as needed. 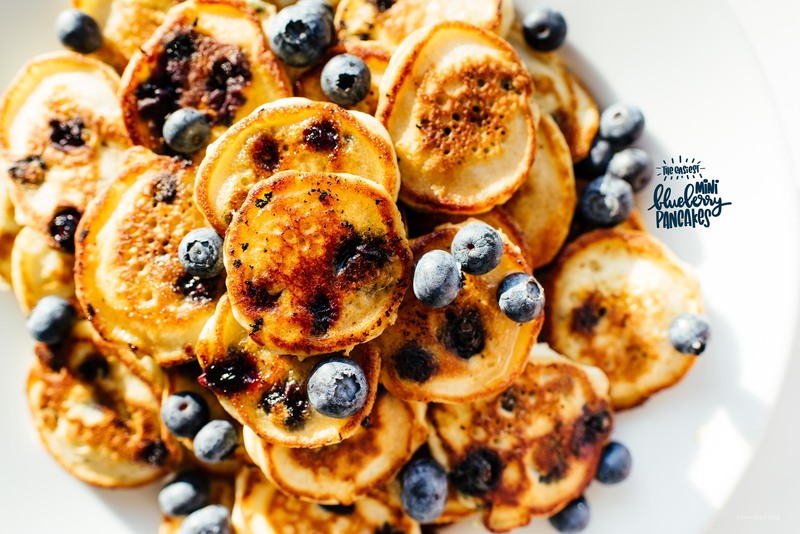 Enjoy with butter, maple syrup, and extra blueberries if desired. 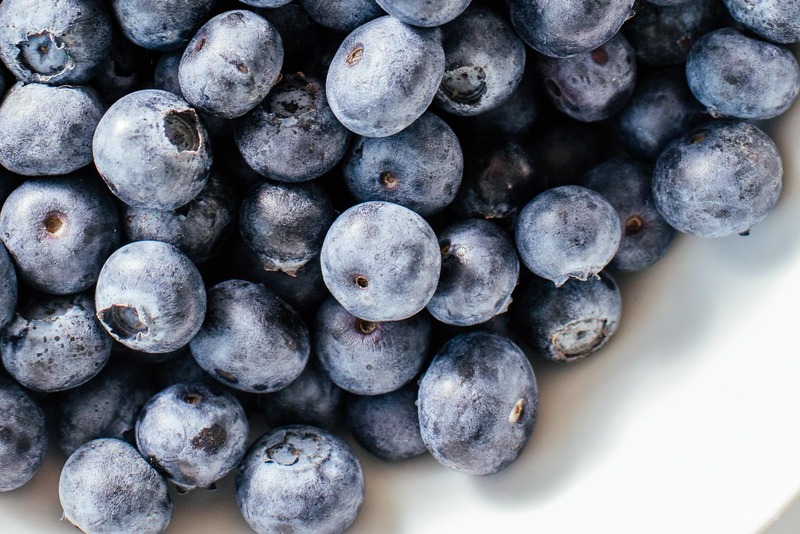 I partnered with BC Blueberries to create this post. 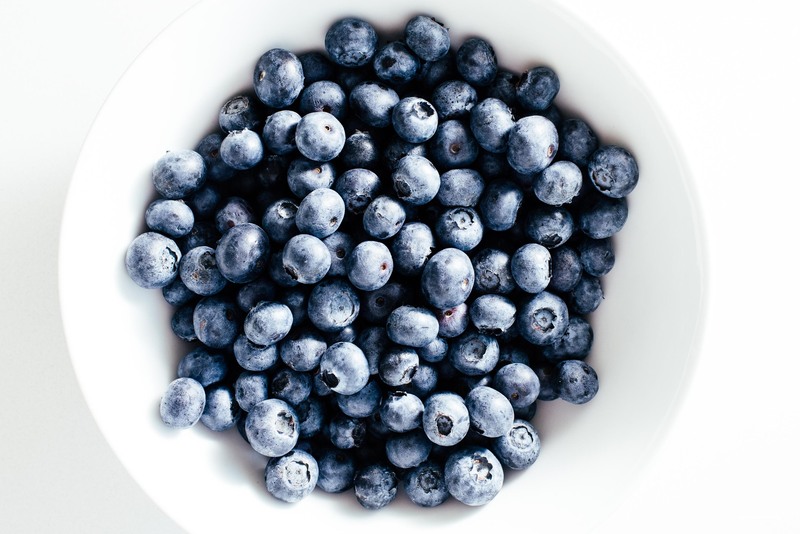 Fresh BC Blueberries are in-season mid-July to mid-September so get them while they’re hot. Enjoy! 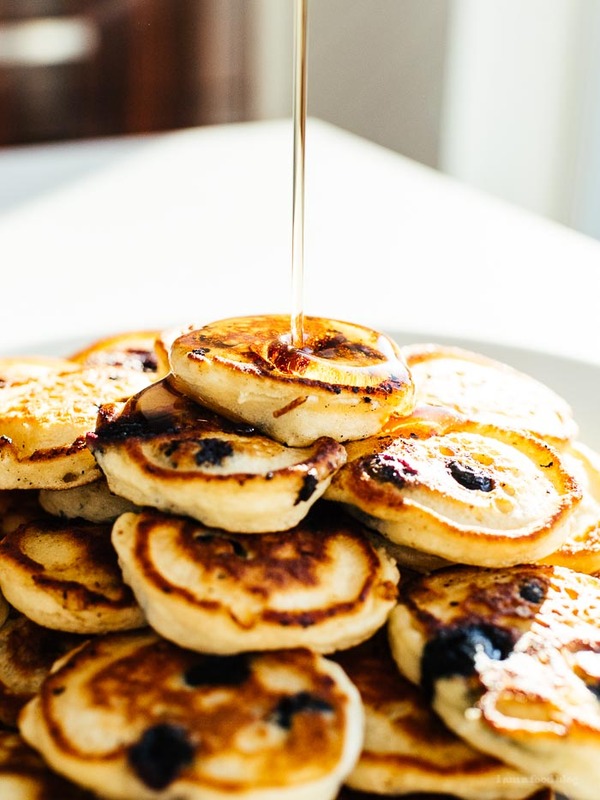 Omg these pictures, these mini pancakes. Just YES!!!!!!!!! I love pancakes! 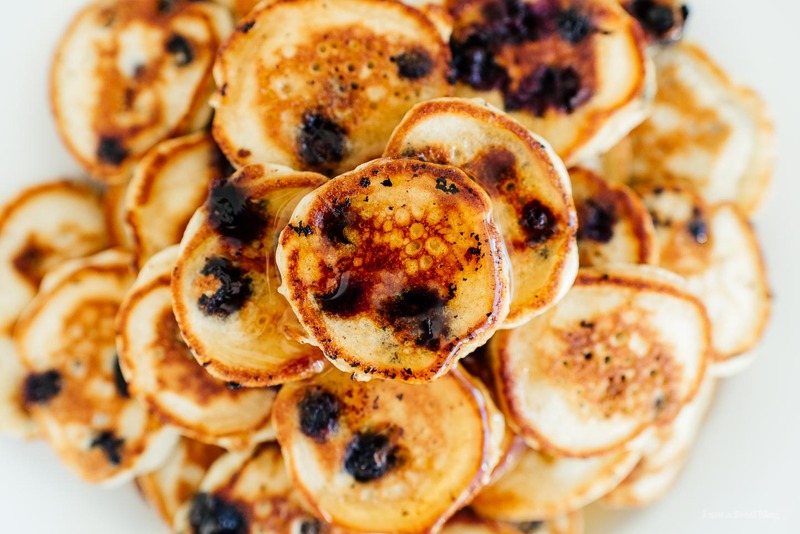 These blueberry pancakes look so delicious…it’s making my mouth water. Yumm! I think it’s obvious that by making mini blueberry pancakes you’re able to put more of them in your mouth:-)Nice! These just look fantastic :) Great job. 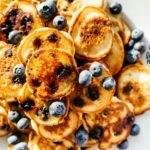 Thank you for recipe, blueberry pancakes are my favorite and my kid also loves them! On of the best recipe with great photos i love it!